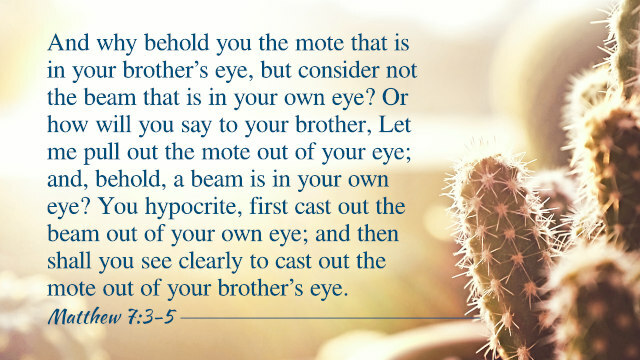 And why behold you the mote that is in your brother’s eye, but consider not the beam that is in your own eye? Or how will you say to your brother, Let me pull out the mote out of your eye; and, behold, a beam is in your own eye? You hypocrite, first cast out the beam out of your own eye; and then shall you see clearly to cast out the mote out of your brother’s eye. When encountering something in our daily lives, we are inclined to grumble to others, instead of knowing ourselves. Even if among one family, we are still full of blame and complaints, unable to get along with each other. For example: A husband is always grumbling that his wife shows little empathy and consideration for him, while his wife often blames him because he doesn’t give enough kindness, consideration, and care to her; a mother-in-law is always railing against her daughter-in-law about her unthrifty housekeeping and lacking in filial duty, while the daughter-in-law constantly complains, saying that her mother-in-law is too captious, not regarding her as a member of the family; parents continually reproach their children for being so disobedient that they are worried sick about them, while the children are always grumbling at their parents about controlling everything in their life and depriving of their freedom; friends, co-workers, and brothers and sisters also always blame and grumble to each other for giving too much while gaining too little. When there are some conflicts in our contact with others, we merely blindly blame others … Each of us sees ourselves as an innocent victim and has sufficient reasons to blame and complain about others. Because of such complaints, the interpersonal tension is growing. There is no longer any understanding and tolerance between people, and human relations have become full of hostility and enmity. We are eager to live in amity with the relatives and friends around us and to love each other. However, without exception, we are all hurting one another. Facing these problems, what should we do to save the day? 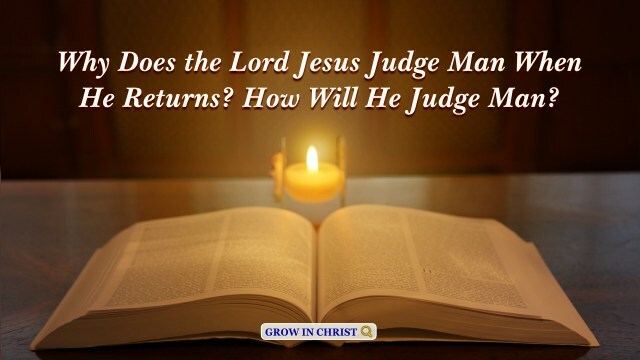 God’s words say, “Everyone has small faults and foibles and they all have some things that are characteristic to them; they can all be self-righteous, weak and lacking. You should therefore help others with a loving heart, be tolerant, be forbearing and don’t be too harsh or make a fuss over every tiny detail.” These words show us the path to practice. If we want to get along well with others, we should view others’ shortcomings correctly and learn to tolerate and forbear with others. Especially when we have disagreements with others, we should first reflect on ourselves and resolve our own problems, and should not fixate our eyes on others. When we practice in this way, we will gradually discover we are not better than others and that the problems are more serious in us than in others. Thus we will naturally understand and forbear with others. Then we will be freed from complaints, and our relationship with the people around us will become more and more proper. 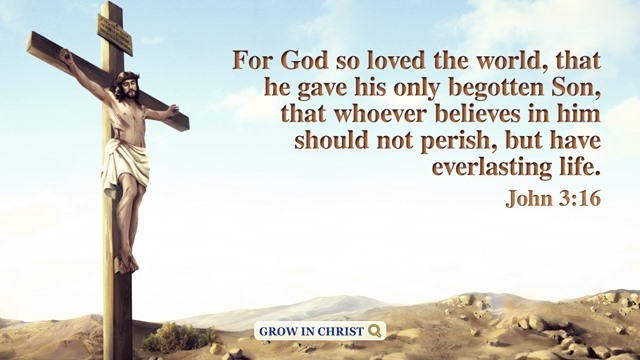 God’s words also say, “The truth is related to the life of normal humanity. It can correct all kinds of your bad tendencies and habits, bad and negative thoughts. It can change your satanic disposition and all sorts of things in you that belong to Satan, become your life, and allow you to become proper and have humanity. 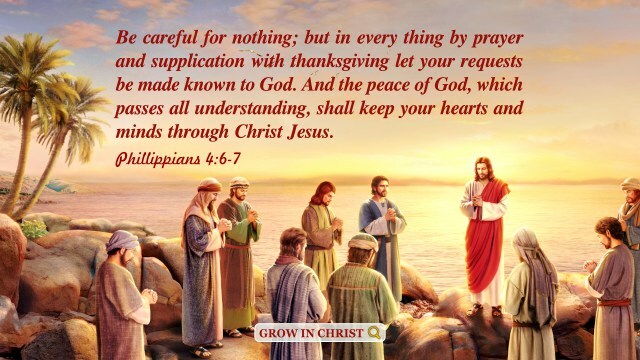 It will change you so that your thinking and your heart are proper, you possess reason, and you are proper in every aspect.” We have been deeply corrupted by Satan. If we want to get along well with others and live out the likeness of a normal man, the most important thing is to allow the truth to be our life and use the truth to correct our thinking and point of view, so that our arrogant and conceited corrupt disposition can be taken away. Only in this way can our conscience and reason gradually return to normal, and can we learn to forgive, forbear, and understand others. At that time, we will become more and more harmonious in the dealings with others, and thus we will get rid of the complaints. And all this assembly shall know that the LORD saves not with sword and spear: for the battle is the LORD’s, and he will give you into our hands. – 1 Samuel 17:47 Thoughts on Today’s Verse… In our opinions, success or failure depends on our minds, knowledge, ability, even..